If you’re reading this now, then you’ve most likely suffered water damage to your home or commercial building. No matter if the water damage was because of a flood or a leaky pipe, now is the time to act. Crime Scene Clean is a professional restoration and decontamination company, and we are well trained in water remediation services. There are few things less destructive to a building structure than water, and the sooner the area is cleaned up and decontaminated, the sooner you can move back into the building. Contact us for expert water damage cleanup today. It’s our goal to help you get your life back to normal as soon as possible. 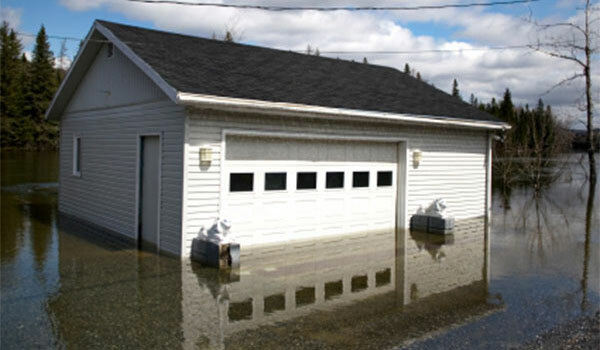 Water can have devastating effects on a home or any other type of structure for that matter. After the water has been drained from the area, growing mold is not far behind. Besides mold, the water that has been sitting in the building usually brings with it bacteria and other contaminants. This is especially true with flood water, as the rising waters pick up anything in its path, generally starting with the sewer system and going up from there. Some of our water remediation jobs have involved decontaminating houses of agriculture products and waste from farms 25 or 50 miles upstream. And damage like that calls for an expert crew with professional cleaning equipment to come in and handle the job to ensure that the area is safe for habitation once again. Crime Scene Clean has cleaned up countless water damage situations, from floods to leaky pipes to backed-up sewers and more. Contact us immediately if you have a situation that needs remedied. As we’ve mentioned, standing water needs to be cleaned up immediately. Crime Scene Clean provides 24/7 support for any water damage issues you may have. We are available any time of the day or night, including weekends and holidays, and will quickly and competently clean up any water issues, along with any contaminants that may be lingering and mold concerns. From the moment you notice a water problem you should be reaching for the phone to call Crime Scene Clean. Don’t let mold and other bacteria grow, worsening the problem in your residential or commercial building. Give us a call today and we’ll come to the property and take care of the problem. Crime Scene Clean will come out to your property and clean up any water damage issues at the first sign of trouble, regardless of whether your property is residential, commercial, or other. We have cleaned up countless types of properties that have sustained water damage, including homes, apartments, office complexes, schools, hospitals, and much more. The point is that it doesn’t matter what type of building you have, just that it needs to be cleaned up quickly following water damage, and we want to help. When Crime Scene Clean comes to the rescue to handle your water damage issues, we will make the building safe and habitable again. If the water has not been removed from the area, we will first take care of that. Then we determine the extent of the damage and which pieces can be remediated and which cannot be saved. From there we get to work drying, cleaning, and disinfecting the area affected so that you can move into it again. Our services ensure that your home or other building will be useable once more, and that no one will be have any adverse health effects from the problem. Many insurance policies cover water damage cleanup. Crime Scene Clean will work with your insurance company if need be to ensure that there is minimal cost to you. And in most cases they will want to help you clean up from the damage. Our goal is simply to help you get back to your life with minimal expense. With no out-of-pocket expenses, you can have your home restored to the way it was. Crime Scene Clean provides our water damage cleanup and other hazardous remediation services to many southern states and cities. These include Texas, New Mexico, Oklahoma, Louisiana, Kansas City, and more. But really, if you’re within 1000 miles of the Dallas/Fort Worth area, we’ll be glad to come out to your property and help you clean up from any devastating water damage. Just let us know and we’ll be there.